Home CDN , children , crafts , feature , holiday , holidays , homeschool , March , papercrafts , printables , US , worldwide March 16th - Featuring Lips Freebies! March 16th - Featuring Lips Freebies! -- Your lips lips don't get as much respect as they should given the important role they play. Think about it, your lips shoulder a lot of responsibility protecting the part of your face that communicates, eats, drinks and – best of all -- kisses. Did you know lips are 100 times more sensitive than fingertips? Or that lips are unique just like fingerprints are? Did you know the tissue around your lips is actually opaque but just looks pink? This is because lips have only three to six layers of skin, while the rest of your skin has sixteen layers. -- Unleash your inner makeup diva with your very own makeup charts just like the ones pro makeup artists use! Design and customize fabulous looks with colored pencils, markers, crayons, even real makeup! Makeup charts come with convenient note sections so you can keep track of products/colors used. Also includes: Pro Tips, Tricks, and Tutorials along with a User Guide. • Fullips Lip Plumping Enhancer -- Designed using self-suction, not a pump. Self-suction allows the user to control the level of enhancement to create a better lip line and overall lip fullness. Provides a simple, non-invasive, temporary solution for fuller lips without the pain and expense of lip injections. Small enough to tuck into a makeup bag for use before touching up lipstick every day or just on special occasions! • Sublime Lips Plumper -- When it comes to first impressions, a full and sensuous pucker never goes unnoticed. Let Sublime Lips take your natural pout to the next level with its luscious, lip-enhancing formula. The best part? There is none of the stinging or irritation you feel from other lip plumpers. This luxurious lip treatment nourishes the lips while giving you a lush and hydrated pout. 💋 Lip Tips | Blistex, Inc.
- Today just might be a perfect day. Life is filled with ups and downs. Some days are good. Some days are bad. Most often, there's both good and bad in any given day. You take life's ups and downs with a grain of salt. Every once in a while, a day comes along where everything you do goes well... the perfect day! - It is believed artichokes originated in the northern region of Africa called Maghreb, where they are still found today in their wild state. The Dutch introduced artichokes to England during the 16th century. They became extremely popular and King Henry VIII was known for growing them in his garden at Newhall. It was not until the 19th century, however, that artichokes first arrived in America, brought over by French immigrants to Louisiana. - The St. Urho's day ceremony begins at sunrise. Women and children go down to the lakeshore and chant Heinasirkka, heinasirrkka, meine taatta hiiteen just like St. Urho did thousands of years before or Grasshopper, Grasshopper getta outta here if you don't speak Finnish. The men dress in green and gather at the top of the hill and then start a procession down to the lake kicking and waving pitchforks to scare off the imaginary grasshoppers. - The water-soluble vitamin C is probably the most well-known vitamin. Even before its discovery in 1932, physicians recognized there must be a compound in citrus fruits preventing scurvy, a disease which killed as many as two million sailors between 1500 and 1800. Later researchers discovered man, other primates and the guinea pig depend on external sources to cover their vitamin C requirements. Most other animals are able to synthesize vitamin C from glucose and galactose in their bodies. - Celebrates and recognizes senior citizens who don't act their age. Wellderly is a term used by U.S. gerontology scholar Harry Moody to describe those who remain healthy and wealthy in old age. - Whether big, small, thick or thin, lips are one of the first things we notice on a person's face. 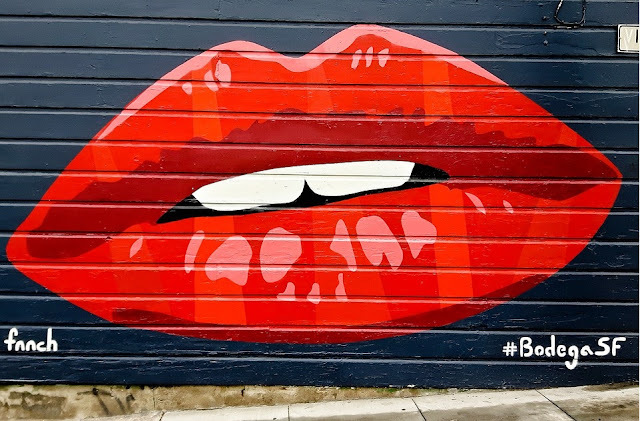 Fads come and go, and right now, big lips are in. But whether your lips have had a bit of help or are completely au natural, there is a special day set aside each year to celebrate lips of all shapes and sizes and reminds us to appreciate what we have. - Traditional arrival date for the long-billed curlew at the Umatilla (Oregon) National Wildlife Refuge. More than 500 of the long-billed curlews have been reported at this location during their nesting season. - Anniversary of the founding of the first black newspaper in the US in 1827, Freedom's Journal, on Varick Street at New York, NY. - Celebrates and recognizes a valuable concept in American rights. Today is the birth date of James Madison, the 4th president of the United States of America. James Madison is recognized as the Father of the Constitution, and the chief author of the Bill of Rights. Freedom of information and individual rights were very important to James Madison. - The first liquid propelled rocket flight was performed by Robert Goddard on March 16, 1926, in Auburn, Massachusetts. In 1965, March 16th was declared National Goddard Day to commemorate this event.